This page contains information on issues that are affecting the health of the natural environment. There are links to other pages which address these concerns in greater detail. In March, 2009, an employee of the Audubon California's Kern River Preserve in the Kern River Valley, California discovered a fallen irrigation standpipe 6" (15 cm) in diameter and 10' (3 m) tall on adjacent California Department of Fish and Game land that contained numerous bird carcasses and remains of other wildlife. 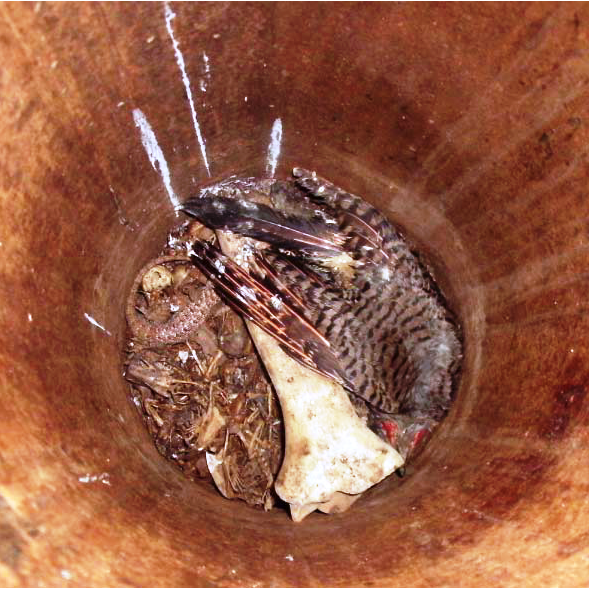 Alarmingly, the fallen pipe contained the remains of over 200 dead birds. Plastic netting in products used for temporarily erosion and to facilitate the establishment of vegetation have been found to entangle wildlife, including reptiles, amphibians, birds, and small mammals. Snakes are especially vulnerable to entrapment.